Another one of our big head rings. This is a Maori head that is turned at a 45 degree angle and has his tongue sticking out just like the Maori warriors. 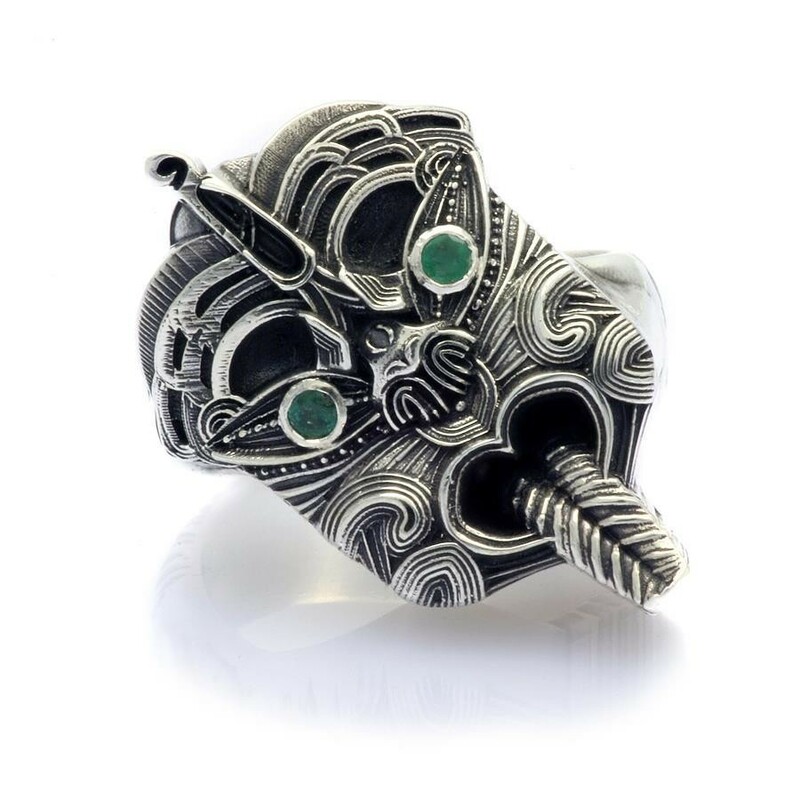 The head is 27 mm high x 25.7 mm wide, and the band that is decorated with Maori swirl designs, is 9.3 mm wide. Bezel-set in his eyes are 2-3.5 mm stones. Sterling silver. Design Notes: The reference for this piece is a wooden carving from the entrance to a Maori assembly house. It is said that this was brought from Tangaroa's house on the floor of the ocean by an ancestor that was called Mutu, because he was missing a finger.